← … Off to Lunch ….. at the Cafe Rouge …..
….. “pssst .. !” ….. 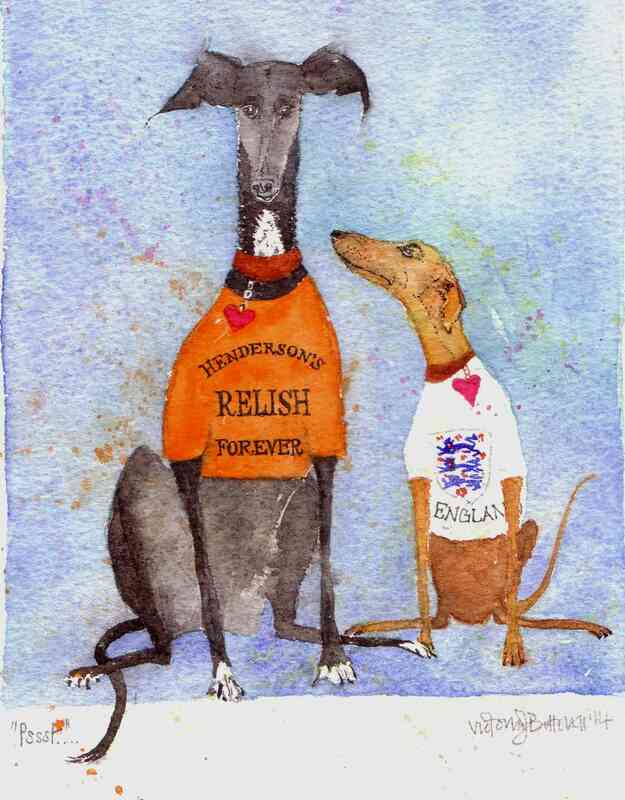 This entry was posted in Dogs, Greyhounds, Sheffield, Sheffield - watercolours and tagged England, Football, Greyhound, Hendersons, Relish, Retired, Sheffield, T shirt, World Cup. Bookmark the permalink. 14 Responses to ….. “pssst .. !” …..
Thankyou so much Violet, I appreciate your support 🙂 best wishes ! Hmm. I have no inspiration without your paintings! See, your work is the star V! Wonderful. I love their expressions. Cheers!